← Lesson re-Learned: Prep like it’s the Superbowl! 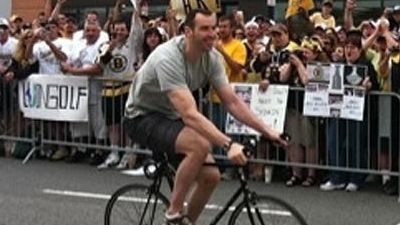 Chara Goes CarFree to the Rolling Rally! Many may have missed it this morning but avid CarFreeBrad fan Zdeno Chara was spotted riding his bike from the North End to the Garden for todays rally. This entry was posted in Uncategorized and tagged Chara living CarFree!!!. Bookmark the permalink.